Cantemo, a provider of next-generation media management solutions, will introduce new and improved integrations between Cantemo iconik, the company’s cloud-based platform for video management, and the Adobe® Creative Cloud® video applications, at IBC 2018. The integrations enable easy global collaboration and simplified asset production workflows. The latest version improves the workflow between iconik and Adobe Premiere® Pro CC with the addition of proxy workflows, which allow users to generate, share, and work on low-resolution versions (proxies) of their content within Adobe Premiere Pro CC. Want to know why Cantemo Portal is the solution chosen by some of the world’s biggest media and entertainment brands to manage billions of Euros worth of content? Then meet us at booth 7.D67 at IBC. Here’s what we’ll be showcasing on our stand: Pre-release previews of Portal 4.0 Having undergone a number of significant upgrades, the latest version of Cantemo Portal will be on show at our booth where we’ll be offering pre-release previews. It’s now been exactly two weeks since NAB came to an end and what a show it was for the Cantemo team. We gave presentations on AI, hosted a lunch and learn, spoke on podcasts and offered demos of a number of new partner integrations – it was a busy week! On the Wednesday, we were really pleased to co-host a ‘lunch-and-learn’ with partner, NetApp, to discuss the joint deployment of Cantemo Portal and NetApp’s StorageGRID Webscale at one of Germany’s most state-of the-art production and media technology companies, ProSiebenSat. Last month, NMR exhibited at BVE 2018 at the Excel in London. At our booth, we demoed Cantemo Portal and the new hybrid-cloud hub for managing video, iconik. Lots of visitors to our booth were interested in hearing more about the video (or artificial) intelligence capabilities of iconik, which enables users to identify and automatically tag video content upon ingestion with metadata capable of describing even minute objects and entities. This means that content ingested by the platform is highly discoverable. Cantemo, a provider of next-generation media management solutions, has introduced a new integration panel for many Adobe® Creative Cloud® applications in its cloud video hub, iconik. The panel will be demonstrated at NAB. The panel makes it easy to use Adobe solutions within iconik and, having initially been integrated with Adobe Premiere Pro® CC, has now been extended to support Adobe Photoshop® CC, Adobe Audition® CC and Adobe Illustrator® CC. Cantemo is Heading to Las Vegas! 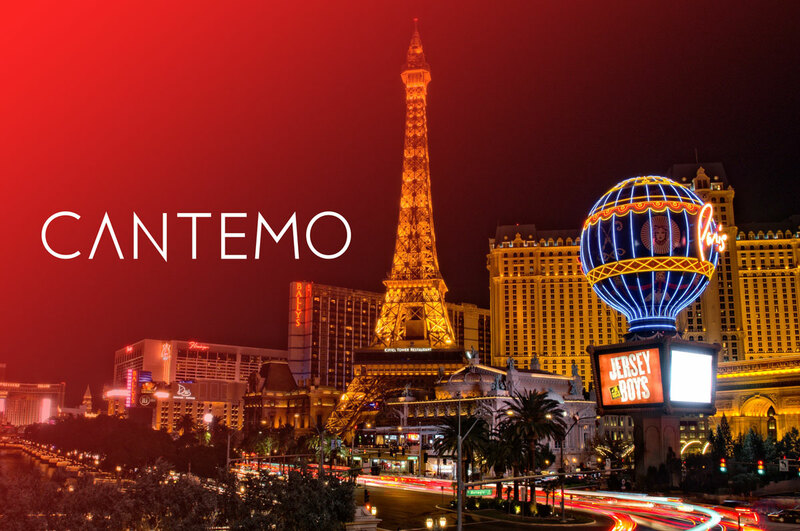 Next week, the Cantemo team will be heading to Las Vegas for NAB 2018! 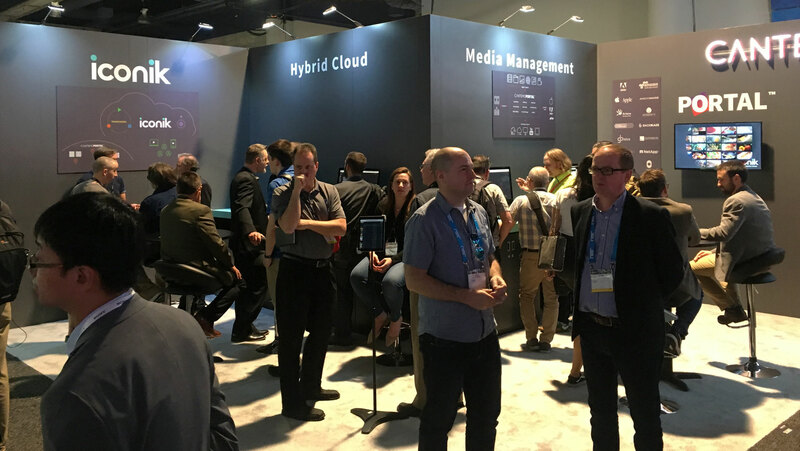 NAB is one of the biggest shows in our calendar so we have a number of exciting things planned and will be announcing several new features and integrations. iconik & AI Last November, we officially launched iconik, our hybrid-cloud based platform for managing video. Being cloud-based, and in order to keep up with the requirements of our customers, we have implemented a continuous delivery approach to iconik updates, which means the platform is in constant development. Cantemo, a provider of next-generation media management solutions, is to showcase its hybrid-cloud media management platform, iconik, at NAB 2018, along with the latest version of Cantemo Portal, its flagship media asset management solution. iconik is a hybrid-cloud based hub for managing, sharing and collaborating on media. 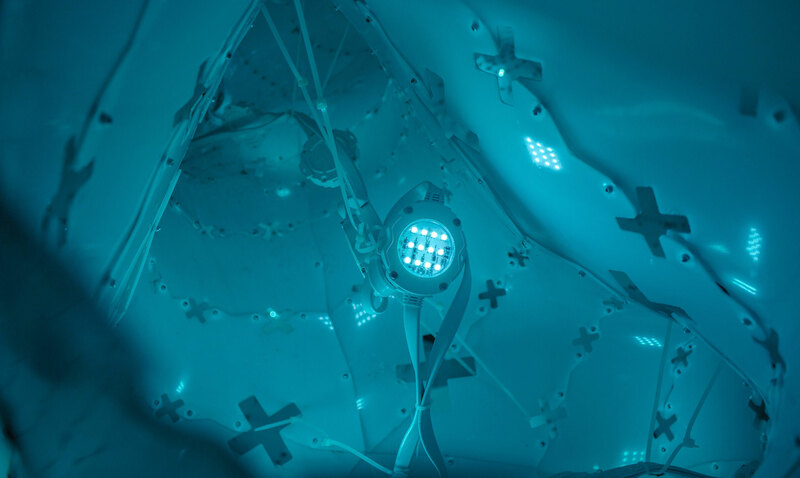 It uses Artificial Video Intelligence to automatically tag content with timecode-based metadata upon ingestion by recognising even minute entities and objects. 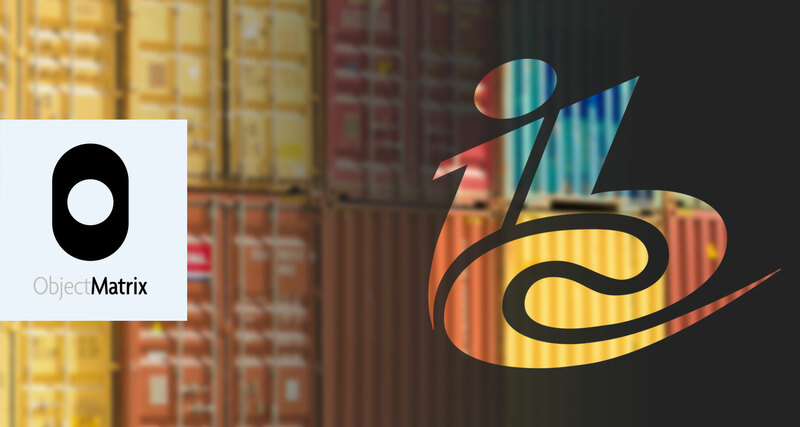 Being cloud-based, and as part of Cantemo’s continuous delivery approach, iconik is in constant development with recent updates featuring improvements to the video intelligence workflow and image analytics. Every organisation producing video is different, and this is something we can confirm with absolute certainty thanks to years of experience in the media management industry. But this means what they need from a media management solution will also be drastically different. Video is being produced at an unprecedented rate, and a media management solution remains the best way to ensure it remains organised and can be monetised. It is, however, evident that the solutions on offer to the multitude of modern day content producers must evolve to stay relevant. Why are Tradeshows like NAB New York so Essential to Companies Like Us? It feels like we’ve only just recovered from IBC but it’s now almost time to head across the pond for NAB New York at the Javits Convention Centre. Although NAB NY isn’t the biggest show in our calendar, the Cantemo team always enjoys the two-day conference. For a start, it’s one of the most intimate shows we attend which means it’s always a friendly show, with a great community and a unique networking experience. The broadcast industry’s shining beacon of the year is always IBC in Amsterdam. Where better to go to immerse yourself in the amazingly innovative nature of our industry? For Object Matrix it’s a trip that we never get tired of. Amsterdam is a beautiful city and we get to breathe in the stunning canals, eat great food, and get to talk to all about our favourite subject. It’s a weekend that we always look forward to repeating, no matter how much out feet hurt at the end of it all. 1. 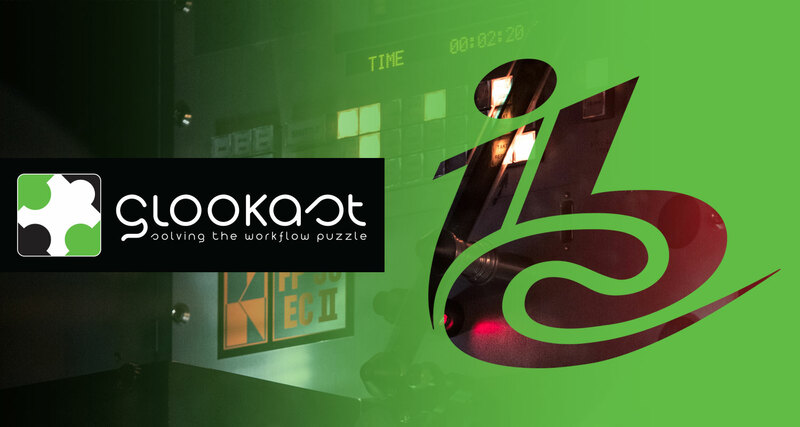 See what a distributed, scalable, load-balanced, multi-user, media and metadata ingest platform can do for you The new Glooport media|producer is a truly innovative product that will transform file ingest into a simpler, cost effective and productive process. Whether your file ingest needs are consumer and mobile media formats from iPhones and GoPro cameras or high-end content like Sony XOCN with LUT’s, media|producer can solve the problem of getting all your file-based content into your broadcast and production workflows. Cantemo, a provider of next generation media management solutions, has announced it will be demonstrating its newest solution, iconik, at IBC 2017. The solution will be released in Q4 of this year. The hybrid cloud media aggregation platform has been designed to create a single hub for global collaborative storytelling by bridging the geographic distances between creative minds. iconik’s main purpose is to reduce the complexity surrounding media management, so that creators can spend more time putting their skills to good use and less time searching for content.